Leading Chinese lanyard manufacturer iLanyards recently launched an impressive new website. GAOYAO, CHINA, May 31, 2018 /24-7PressRelease/ -- Leading Chinese lanyard manufacturer iLanyards recently launched an impressive new website. A wholesale provider of lanyards, iLanyards' products have numerous applications. These include lanyards, camera straps, luggage straps, dog leashes and wristbands. Now, all of these products are showcases in an even better way on the company's new website. You can also see on the site the numerous kinds of lanyards available; from sublimation and screen printed ones to woven and tubular ones, all of which are available in polyester, cotton and nylon options. Clients can choose any combination of style and material for a highly customized order. A spokesperson for iLanyards commented, "In a world where virtually everything is Made in China, iLanyards is proud to produce the best-in-class lanyard products. Our new website is one of the many things that show how we are going to be a leading manufacturer of lanyards products." Elegantly designed, the new website is easy to use and helps users find what they're looking for in a matter of seconds. It makes it easy for users to understand the customized one-stop solution that iLanyards provides. In addition to offering a range of style options, iLanyards offers personalized products as well. The company has the means to handle large orders while also paying attention to smaller, personalized ones. The spokesperson added, "From companies that want to use them for their workforce, whether for daily use of special events, to retailers who want to offer the best lanyards to clients, to consumers buying camera straps, everyone will love the new website and how it helps them get what they want so easily." To celebrate this milestone, the company is offering a 30% discount to all its clients. The offer is applicable on all iLanyards products and is valid till 30th Jun. For a company that supplies to 300+ clients across the globe, a well-designed, robust and user-friendly website is a must. And the latest iteration of iLanyards' website measures up. The new website can be accessed at www.ilanyardmfg.com. 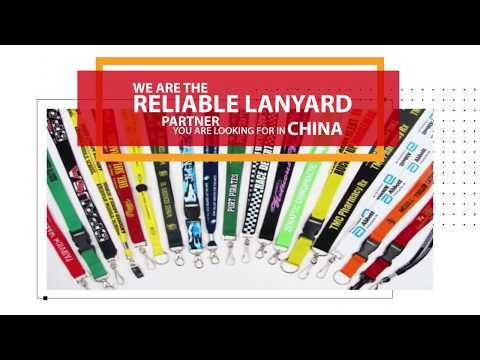 Operating since 2009, iLanyards is a lanyards products manufacturer based in China. The company produces different types of lanyards products in a factory of 1500+ square meters with 30 employees. With over 8 years of experience in the marketplace, iLanyards supplies to 300+ clients internationally. You can learn more about the iLanyards at www.ilanyardmfg.com.